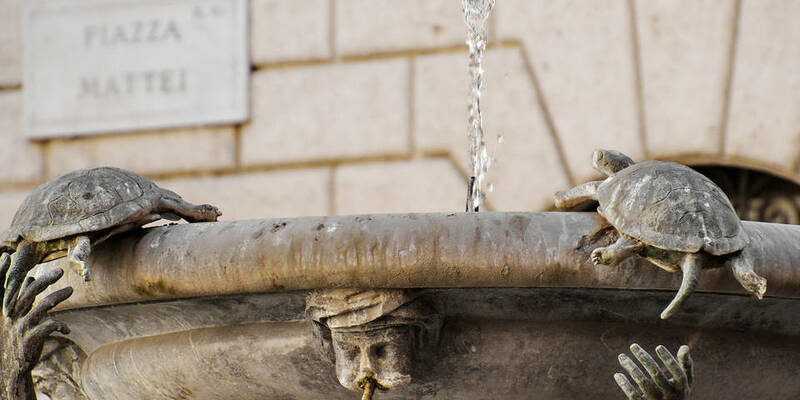 The Turtle Fountain (Fontana delle Tartarughe or Fontana Tortoise), built by Taddeo Landini between 1581 and 1588, is considered one of Rome’s first finest fountains. It is world-acclaimed and four replicas of it were built in the USA. There are four bronze ephebes hold with one hand a circular basin, while with another, they help a turtle to climb the basin. Moreover, they ride four dolphins, located in four conch shelf of marble. Originally, the ephebes were holding four other dolphins that were replaced with four turtles during the renovation in 1658. 3 Where is the Turtle Fountain? 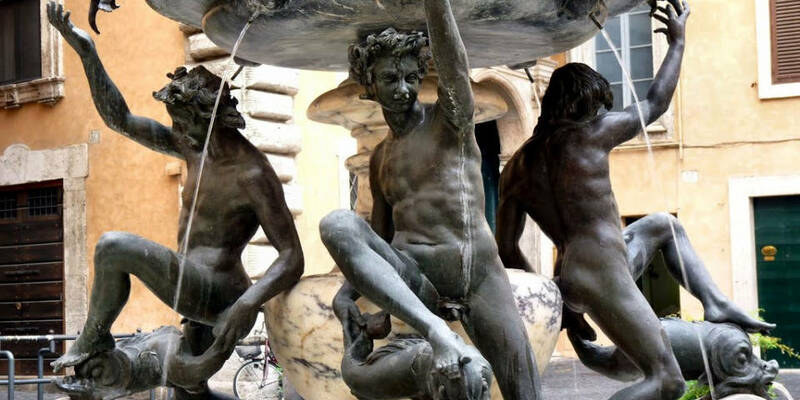 The fountain features four ephebes (adolescents), each one holding a dolphin, where the tail is in one hand, while the head is under the right foot. The bronze material highlights the grace of ephebes. Moreover, the Turtle Fountain contains four portasanta marble seashells located on an African marble vase. It was designed by famous architect Giacomo Della Porta and constructed in 1582. Originally, the fountain was supposed to stand in Piazza Giudia, located nearby. Additionally, the market at the door of the Ghetto was held there. However, the monument was placed in Piazza Mattei by will of Duke Muzio Mattei. Mattei wanted to see the masterpiece from his palace. In 1658, during the papacy of Alexander VII, four turtles were added at the top of basin, as if upheld by the ephebes. It was the suggestion of Gian Lorenzo Bernini. According to the legend, Duca Mattei, a young aristocrat with a passion for gambling, lost all the money that he had. Consequently, the father of his bride decided to break off their engagement. Mattei tried to make bride’s father to reconsider his decision and decided to amaze him and bride by creating the fountain in front of the Mattei family palace in one night. The next day, he asked the bride and her father to look out of the window at the square. They both were so impressed and bride’s father became convinced that if the Duke managed to create such a masterpiece in a single night, he will also manage to make his daughter happy. However, the fountain was built in the late 1500s’, while the palace wasn’t built until 30 years ago. Where is the Turtle Fountain? 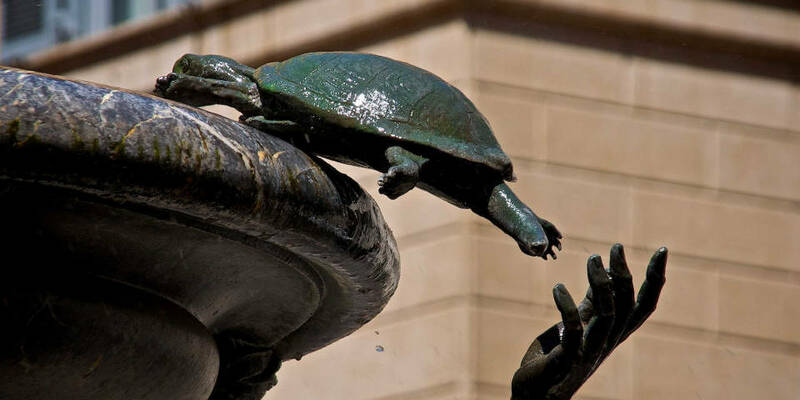 The Turtle Fountain located in beautiful Jewish Ghetto, which is in the historical center, right near Torre Argentina and piazza Venezia. In one half of the square you can see the Fountain of the Turtles, which was recently restored. Many tourists come to admire the masterpiece which is world-acclaimed. 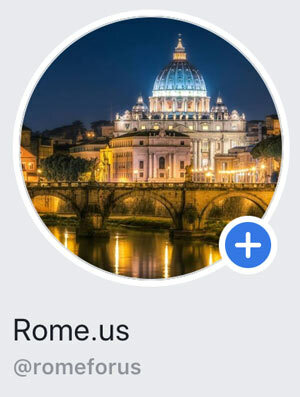 The area of ancient Jewish Ghetto is famous because of its quiet and peaceful ambiance, which is different from the atmosphere of busy metropolis as the city of Rome is. In the 16th and 17th centuries, the area of Jewish Ghetto was dominated by the Mattei family, who controlled the traffic on the left bank of the Tiber River. 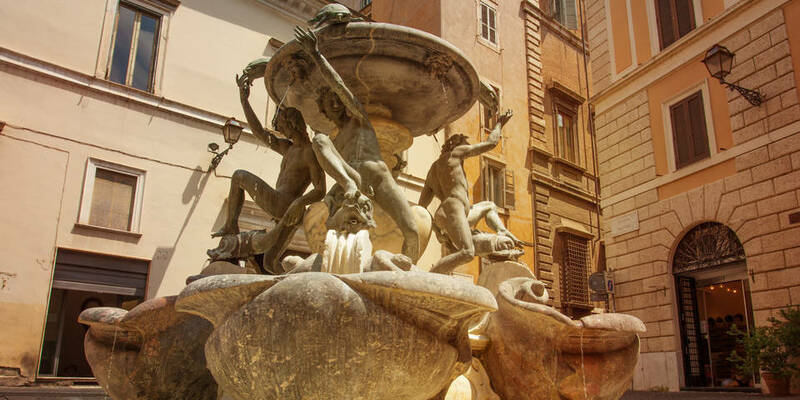 The masterpiece is one of the most wonderful fountains in Rome. Have you ever visited Jewish Ghetto? Tell us about your experience in comments!